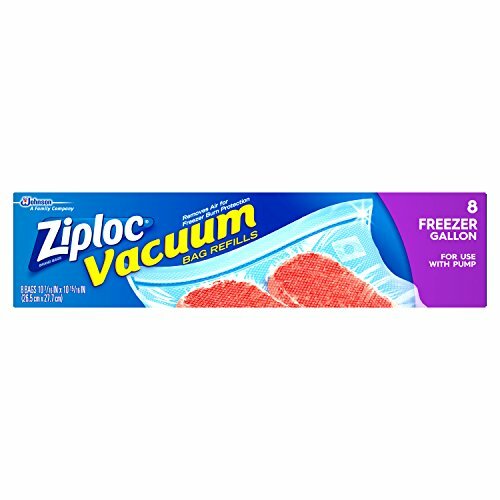 Ziploc Vacuum Bags protect your food against freezer burn, which means less wasted food and money. The Starter Kit includes specially designed vacuum bags. The bags have a special one-way valve that allows air in the bags to be removed. They're great for freezing steak, hamburger, chicken and more. For best results when using our bags, attempt to squeeze out as much air as possible when closing the bag after storing the food. If you have any questions about this product by Ziploc, contact us by completing and submitting the form below. If you are looking for a specif part number, please include it with your message.